The Bonesplitterz are tattoo-covered savages, who bellow their devotion to Gorkamorka as they sprint headlong into battle. Led by mysterious and magical shamans, they form vast tribal armies armed with flint and fury that hunt the great monsters of the realms. 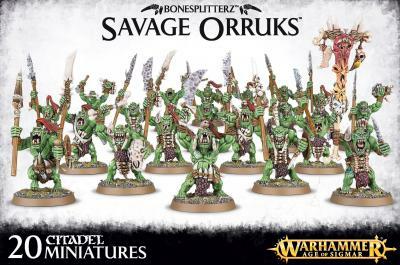 This set will make 20 Savage Orruks that can be armed with a selection of weapons that includes Stone Choppas, Flint Spears, Feral Bows and Crude Shields. You also have the option to assemble a Savage Orruk Boss, Icon Bearer and Skull Basher. To make sure you never run out of options, this kit has 114 components for you to build your unit exactly how you want it. This multi-part plastic kit contains 20 Savage Orruks and 20 32mm bases. 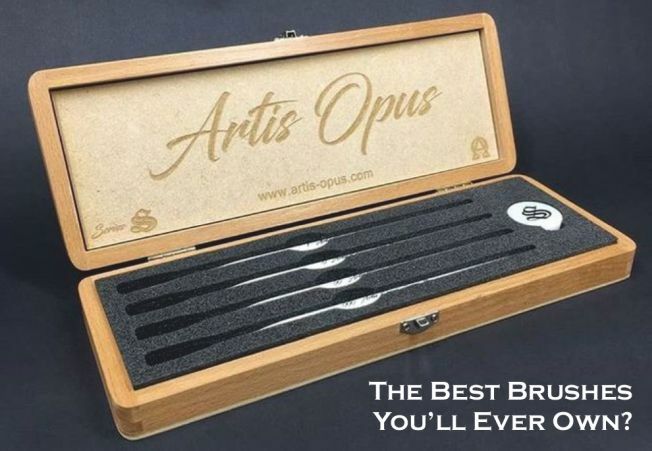 These miniatures are supplied unpainted and requires assembly - we recommend using Citadel Plastic Glue and Citadel Paints.